South Korea`s leading mobile carrier SK Telecom said it will demonstrate its 5G quantum security gateway solution to protect self-driving vehicles from external hacking attacks at Mobile World Congress (MWC) to be held in Barcelona next week. The solution, an integrated security system installed inside cars, is designed to protect various electronic units and networks in the vehicle. The quantum security gateway serves as a gatekeeper to monitor sensitive devices from external threats, such as vehicle-to-everything (V2X) communication, bluetooth, Radar/Lidar, operator assistant and smart key systems, and it transmits vehicle operation data together with a cryptographic key from a quantum random number generator to block a hacking attack through a mobile communication network. 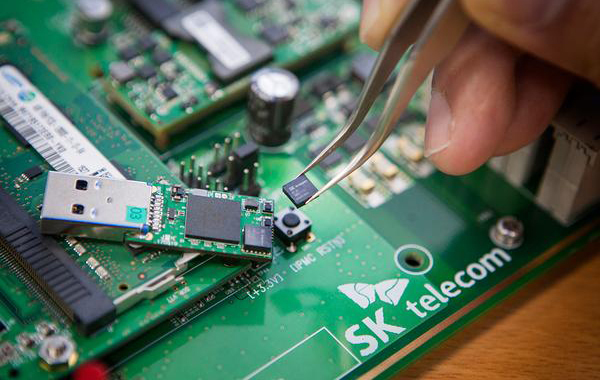 SK Telecom will also disclose a Mobile Edge Computing-based service, its first outcome from the partnership with MobiledgeX, an edge computing company under Deutsche Telekom, during the show. Mobile edge computing technologies, useful for autonomous driving and other 5G-related services, can reduce data transfer time by deploying data processing servers at adjacent base stations or exchanges.